Established 3 Apr 1863 by Captain Henry A. Greene, 1st California Volunteer Infantry. Fort McRae protected settlers and travelers from the Apache along the Jornada del Muerto (journey of the dead) road from Dona Ana. At the close of the U.S. Civil War Fort McRae was still garrisoned by companies of the 1st California Volunteer Infantry. They continued to garrison the post until August 1866 when they were replaced by Companies C and K of the 125th U.S. Colored Infantry (Buffalo Soldiers) under the command of Captain E. P. Horne. The garrison was subsequently reduced to a single company. While at the post the black soldiers built several new buildings and put a new roof on the hospital. They also made 25,000 adobe bricks and constructed officers quarters with them. Abandoned on 30 Oct 1876 and turned over to the Interior Department 22 Jul 1884. The fort is now covered by Elephant Butte lake. Capt. 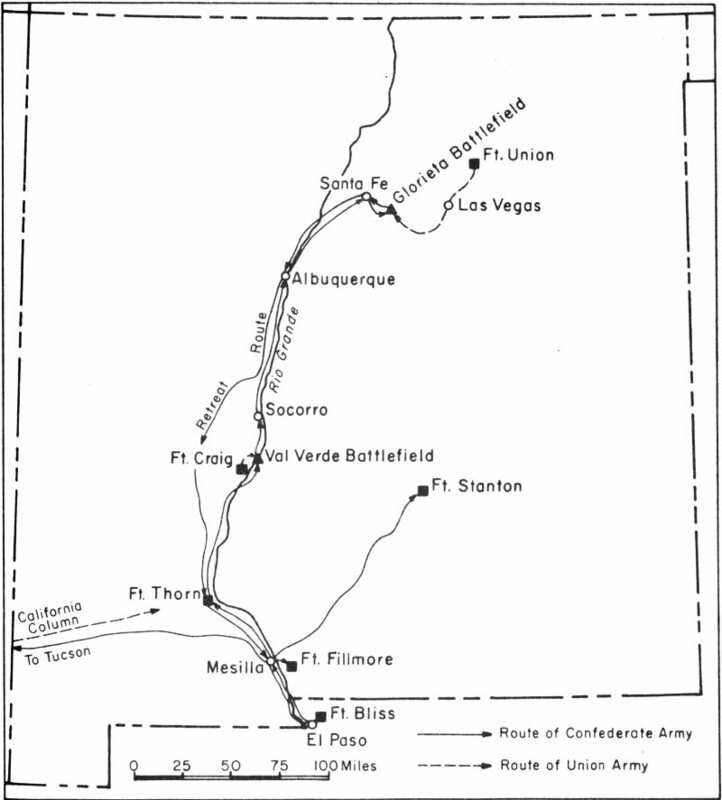 Alexander McRae’s remains (died at Battle of Valverde), first interred at Fort Craig, NM, were removed and buried at West Point, New York, Jun 5, 1867. Interments buried at Fort McRae Cemetery were relocated to National, State, public or private cemeteries.